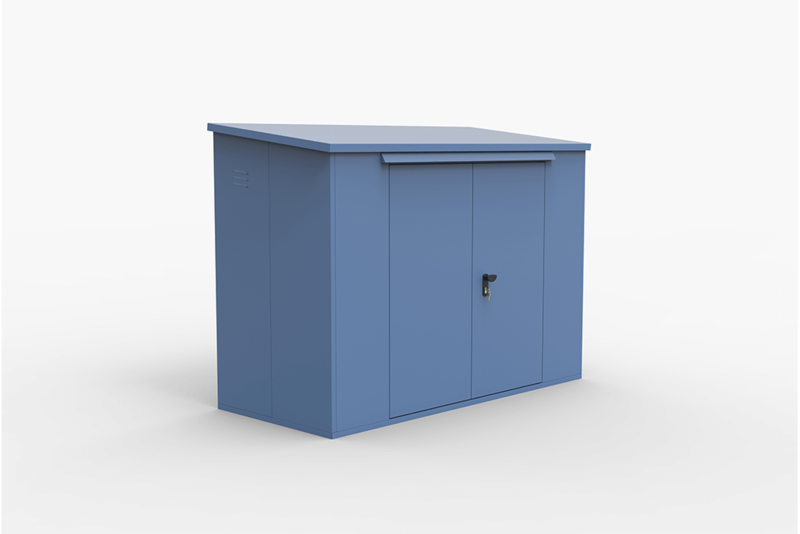 The side access bike locker is a secure, space saving unit for storage in restricted spaces. 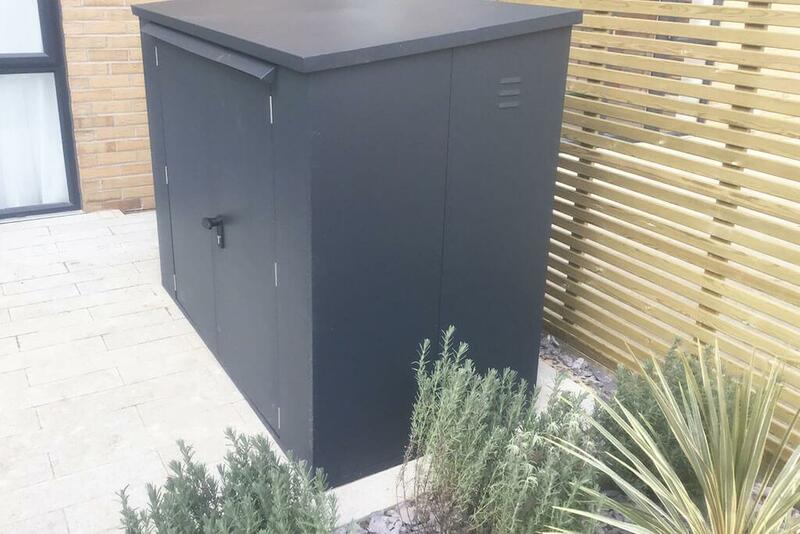 Rather than conventional front access, this design allows for the installation of lockers in a row along a wall or boundary, maximising spacing with no access issues. 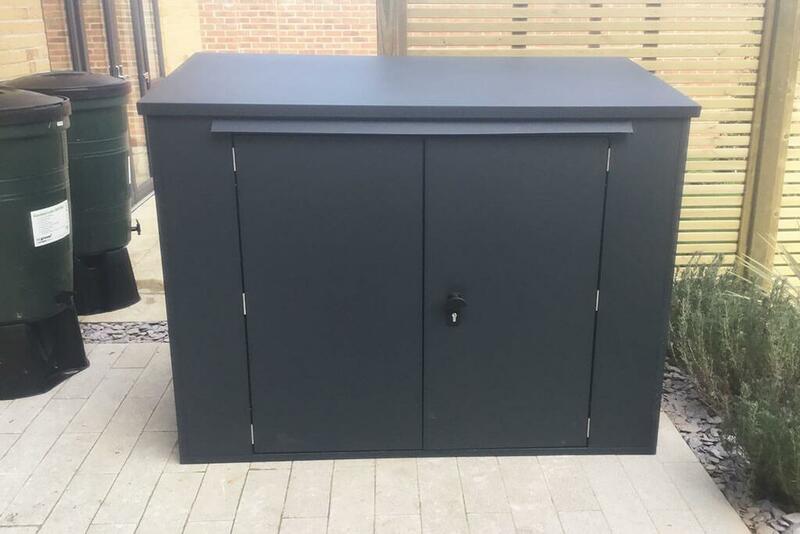 See our horizontal or vertical bike lockers for an alternative layout. Bike lockers require assembly before use. Side access lockers are supplied with an integral steel base and require fixing into a secure, level surface. Designed with side access and loading, these lockers can be positioned in a row along a wall internally or externally. 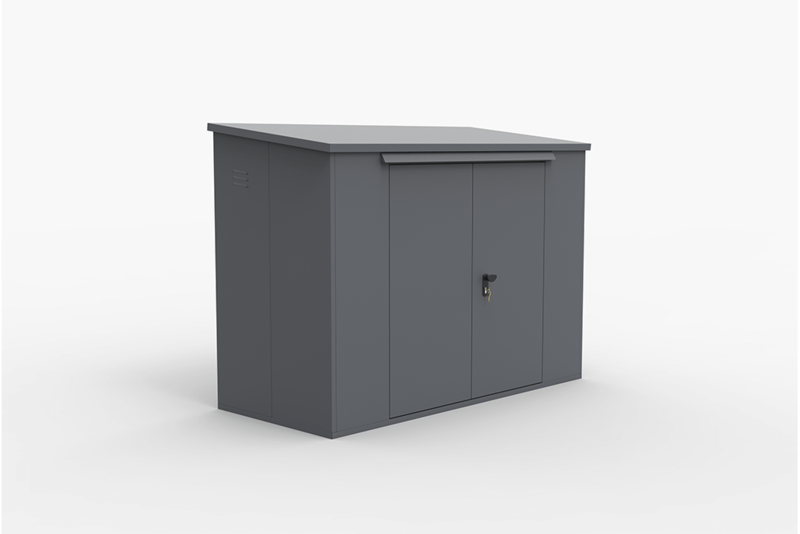 Each locker can house 2 bikes, and is suitable for both commercial and domestic use.